It seems almost as shameful of a word as debt collections. 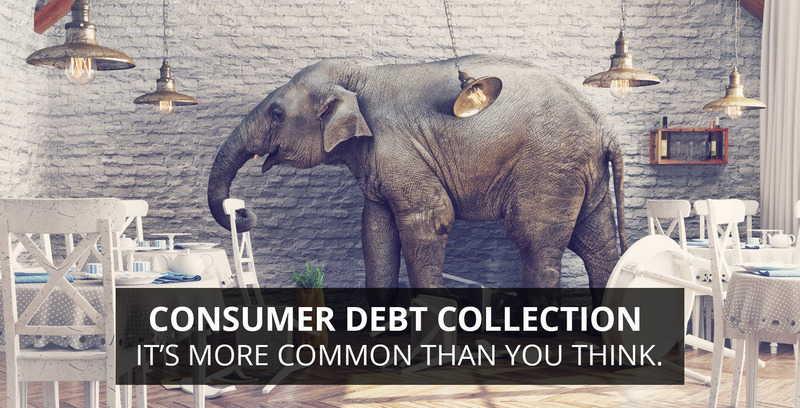 In reality, debt collections, as in consumer debt and as a business who requires outside assistance to collect, is actually very common in the United States. The stigma around debt and debt collections do nothing to address the root of the problem. American consumers are consuming, which is great for the economy. In the meanwhile, we are spending more that we have and it's time to talk about it. We want to remove the shame and have a real talk about debt collection. It's no surprise that Americans have a debt problem. As of late 2014, it was estimated that as many as 1 in 20 American consumers had an account in collections or had accounts that were 30 - 180 days past due (which still affects their credit reports). The same study cited that the average amount owed was $5200. Foreclosures are down but over 200,000 U.S. consumers filed for bankruptcy in the 4th quarter of 2015¹. The point being... it’s not "just you" with a debt problem. It's okay to talk about it. In fact, we need to be talking about it so that more people know that there are ways of negotiating debt. We understand that not all collectors are nice people. Know your rights as a consumer. Don’t try and bury the problem hoping it goes away on its own. It doesn't go away and it will come back to haunt you. With the above statistics, and another that states that Americans have more debt that savings², businesses are at the mercy of one emergency draining their customers' accounts. Most Americans want to pay their bills on time but may simply not have the means or education around financial planning. This is why we need to talk about it. As a business, no matter your efforts, even the best Billing and Accounts Receivable departments will run into challenges from time to time. You need to know when to bring in the experts and hire an outside collection agency to help. It's best to partner with a collections agency that can understand the stages of your AR, and know when (and how) to communicate with your customers for repayment. Did you know that the faster an account is turned over to collections, the greater the chances of recovery? Researcher Brené Brown said it best. Shaming for debt isn't going to bring about any resolution. In fact, that tactic turns off consumers completely. At BYL Collections, we prefer to treat others the way we want to be treated. Subscribe to email updates from this blog and contact BYL Collections if you have any questions about debt collections or are looking to hire a debt collections agency.